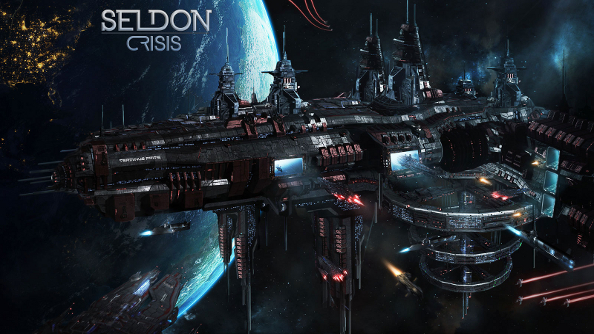 Seldon Crisis is an in-development space sandbox MMO that sounds both quite a bit like EVE Online and potentially quite a bit different. Much of this dichotomy comes from the fact that the project is still in its infancy, and details are vague. But developer Chaos Interactive were only too happy to oblige me on my quest for illumination. And that connection to EVE remains. It’s a game that probably wouldn’t exist without CCP’s long-running MMO, but one that comes out of dissatisfaction with its direction. 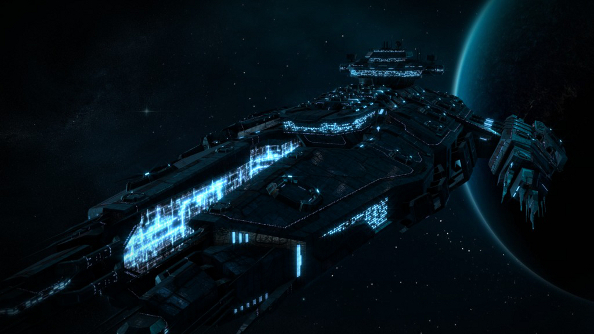 Chaos Interactive has sprung out of CCP and EVE Online. Some of the team used to work for the Icelandic developer, while the vast majority of them are EVE veterans. The team says that the venerable sandbox MMO has had an impact on their vision of what Seldon Crisis could be. Besides the parallels between the settings, there’s also the open-endedness and player-driven universe, which EVE is famous for and Seldon Crisis is looking to add to. 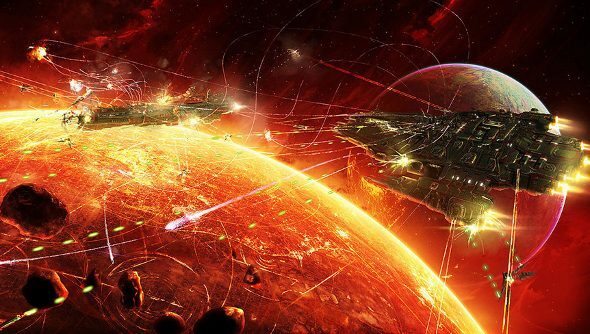 After 2009, the developer reckons that EVE failed to renew itself and the game has become stagnant. Despite the promise of freedom, new players are limited because space has been gobbled up by a small number of coalitions, they worry. So they’re trying to make something new; something that keeps that promise of freedom in a dynamic galaxy controlled by players. If the team sprang from EVE, where did the game – it’s backstory, factions and setting – come from? That was something that confused me upon first browsing the Seldon Crisis website. It’s loosely inspired by Isaac Asimov’s Foundation series, yet even the name of the game is inextricably linked to those stories. The Seldon Crisis is a fictional phenomenon from the books, named after a character. This struck me as not loosely inspired by, but outright connected to. The game’s actually based on a short story from Italian author Riccardo Simone, which in turn was inspired by Asimov’s Foundation series. I’m told the setting of the game will be relatable to readers of the books, but the story itself will be determined by player behaviour and the actions the commit in space. Sandboxes and tight narratives don’t tend to go hand in hand. The freedom to go anywhere and do anything bumps up against the limits of the narrative structure. In Seldon Crisis, the story will be the culmination of player experiences. How they interact with each other and the various factions in the galaxy weaves a narrative, with background lore – written by Riccardo Simone – to give it flavour and texture. There are stories to be found in missions – but again, these will come more from the player, turning a mission to kill someone or recover and item into an adventure they can share with chums at a space station (or more likely via in-game chat). Missions are randomised, with a system generating them rather than an NPC waiting for eternity to dole out the same mission to everyone that passes by. The system changes the goals, location, basically the entire content of a mission, which Chaos Interactives hopes will with longevity. These missions range from bounties to exploration; solo players flying through the galaxy to hunt down an item for a buyer; groups protecting an NPC fleet as it floats through hostile space – and all of these can be interfered with by other players. Things can even get a bit Indiana Jones, with the uncovering of artifacts triggering puzzles and races to find priceless alien prizes. Between missions, there are wars going on. Four factions have carved up the galaxy, and players can join faction navies to fight against other players. Each faction has a bit of territory that it can lose, but this is controlled warfare. It’s an introduction to the large-scale space PvP that alliances can get into, set in the mostly secure areas of the empires – where players start their journeys. Chaos Interactive says that Seldon Crisis’ combat and movement should feel familiar to players of other space MMOs like EVE Online and Star Trek Online, but includes WSAD movement in third person. Unlike EVE, there are no gates connecting sectors. Space is a big open place. I wondered if the lack of gates was going to limit the size, but I’m told that’s not the case at all. It will be huge, probably expanded continuously, and there will even be distant parts of the galaxy that will be very far to reach. It does sound like some concessions have been made to ease of travel, though. Wormholes pop up, but are fleeting things, and players can construct acceleration gates that increase their speed through the expanse of space. For the logistical nightmare that is shifting entire fleets, there are jump portals as well. Between all these missions, wars and long trips across the entire galaxy, players will be able to improve their character skills and construct their own custom ships. Seldon Crisis boasts 12 specialisation trees, but forces no specific paths. Each tree has dozens of skills, and includes specialisations such as chemistry, biology and engineering along with a separate list of traits. Character levels also grant access to new ships, modules and equipment. It’s ship customisation that seems to have the greatest depth though. Chaos Interactive tells me that thousands of combinations are available thanks to vessels’ modular design. Skills determine how effective each module is, and how many can fit on a ship before there’s no more energy or CPU power left, and they have 13 different levels – so even two identical designs could be quite different in practice. Expanding the possible permutations are the different alloys ships can be constructed with, improving different aspects. At first, finding the most effective combination will be down to experimentation, with the game’s first engineers paving the way. Ships can be made to stand out from the crowd in more ways than just their effectiveness though. Cosmetic elements can be fiddled with, with each ship having many skins and players being able to give them a new paint job. In a nice touch, these vessels can be further personalised with the name and logo of an alliance or corps, when you feel like being a company man. It all sounds rather ambitious for a new studio. An MMO alone is a big task, but a player-driven sandbox? Well that’s a bit more Herculean. And no doubt expensive. So, in this age of crowd-funding, it shouldn’t be a surprise that Seldon Crisis will be getting a Kickstarter campaign. It’ll be kicking off on September 1st, and Chaos Interactive will be making updates in the mean time, which you can get by signing up over here.